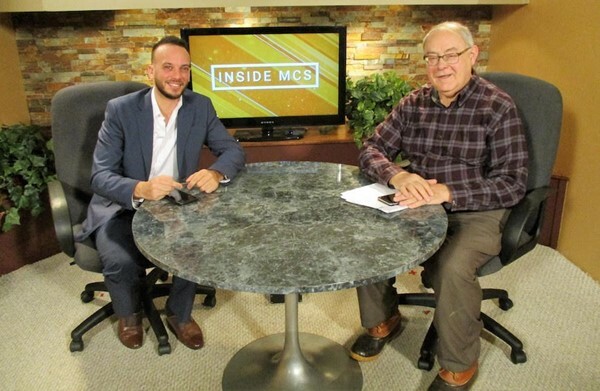 The temperature was minus 7, the wind was howling and schools were closed Wednesday morning but a new episode of “Inside Mansfield City Schools” was taped. Eric Butler, assistant principal for seventh grade at Mansfield Middle School, was Larry Gibbs’ guest in the WMFD TV studio. Butler discusses his background as a classroom teacher and his role in this year’s administrative structure that has an assistant principal and counselor assigned to each grade, seven through 12. He also talks about his work as a professional musician.